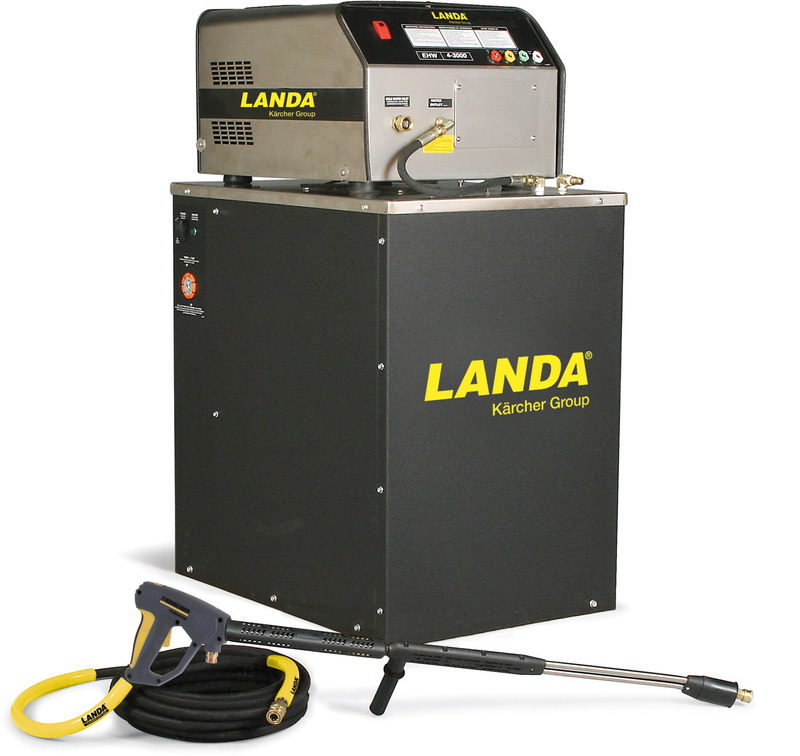 As North America’s largest manufacturer of industrial pressure washers, Landa Karcher Group has become the most trusted name in hot water pressure washers with more industrial-grade models than any other brand in North America. 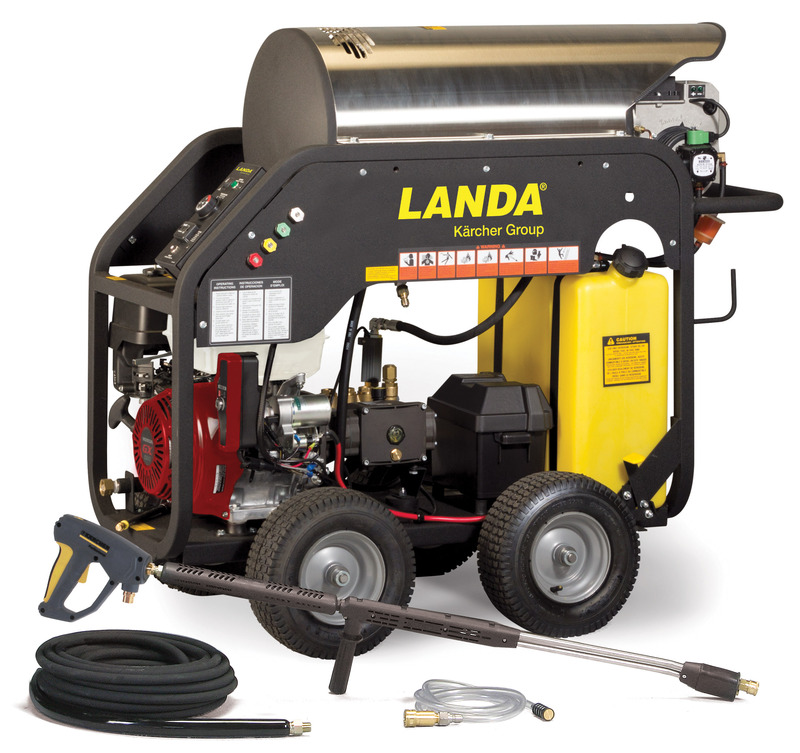 Landa Karcher Group’s electric-powered, diesel/fuel oil heated line of hot water pressure washers is rugged, durable, and versatile. 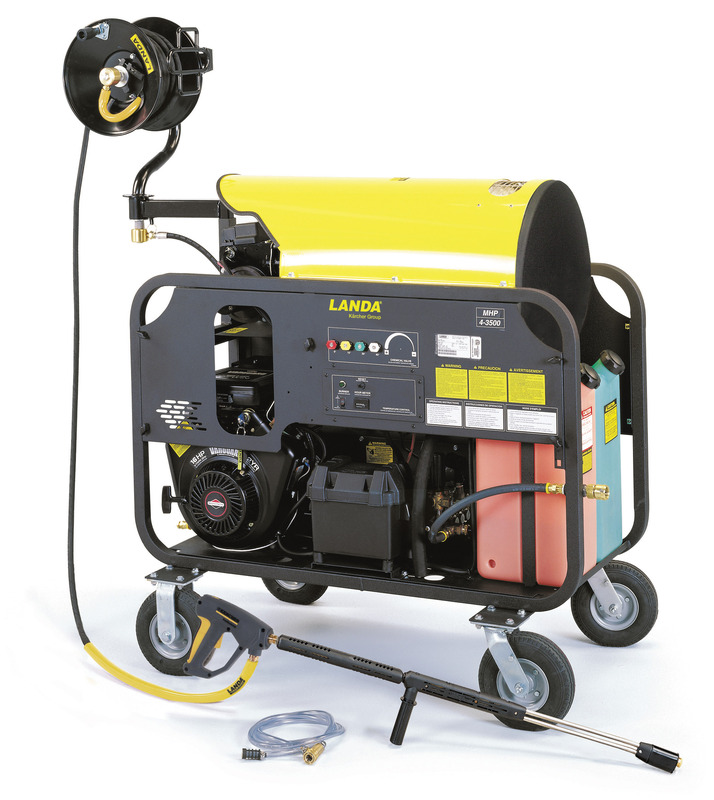 We offer a broad selection of electric-powered hot water pressure washers to meet all your cleaning needs, indoors or out, with choices that range from economical to industrial strength. 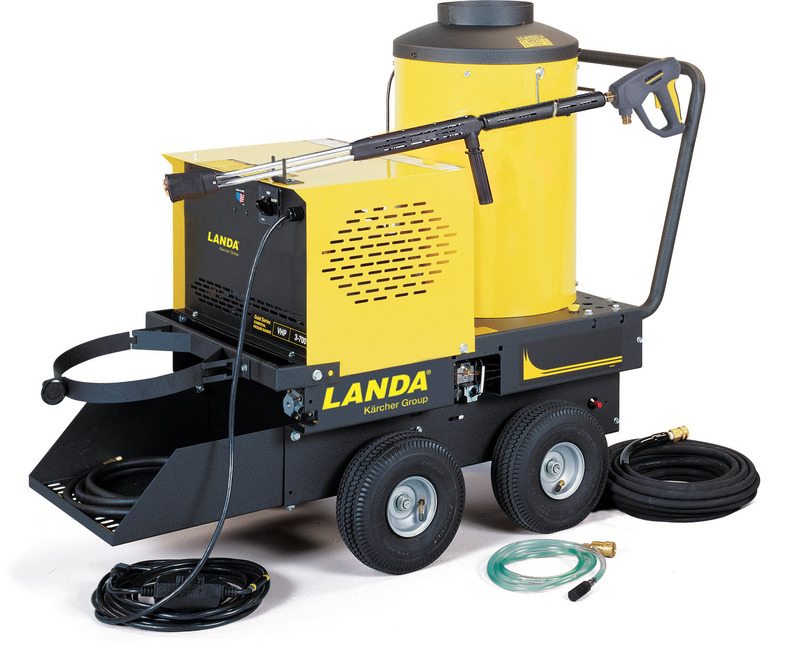 Whether you have a need for a portable or skid-mounted industrial power washer, Landa Karcher Group has got you covered. 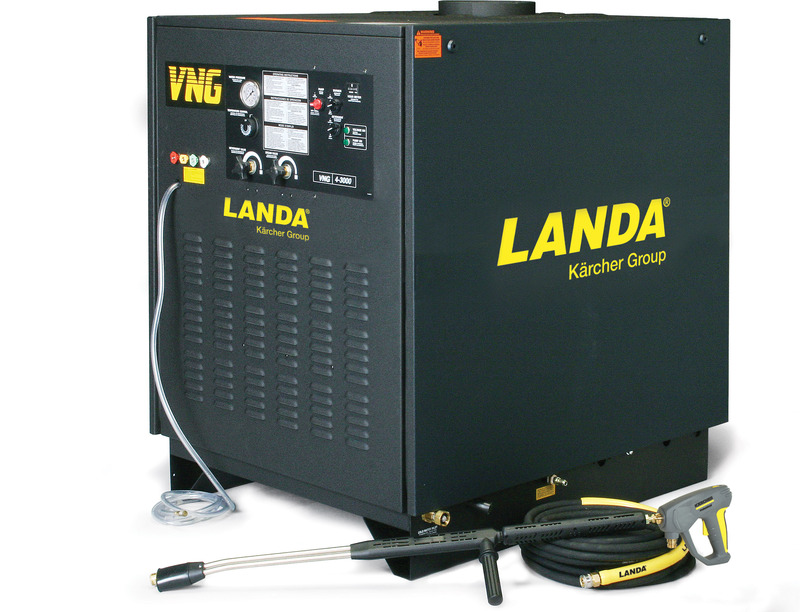 The gasoline powered product line of hot water pressure washers from Landa Karcher Group combines best in dependability and performance. 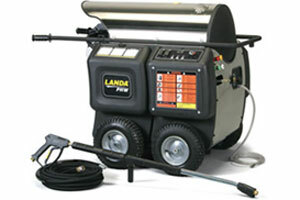 Whether you’re cleaning indoors or outdoors, there’s an electric-powered hot water pressure washer to meet your needs. Options for industrial power washers include economical and commercial strength, as well skid-mounted or portable models. 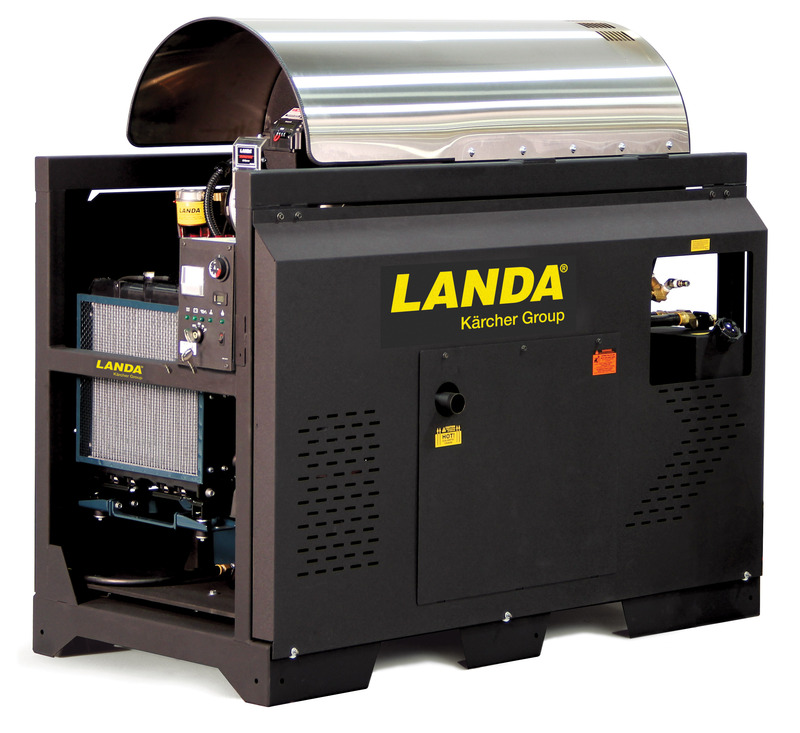 When it comes to diesel-powered hot water pressure washers, Landa Karcher Group is the brand to turn to. Our largest hot water pressure washers deliver 200°F water and dual-gun capabilities, and are super fuel-efficient, cutting your average fuel consumption by 21% or more. 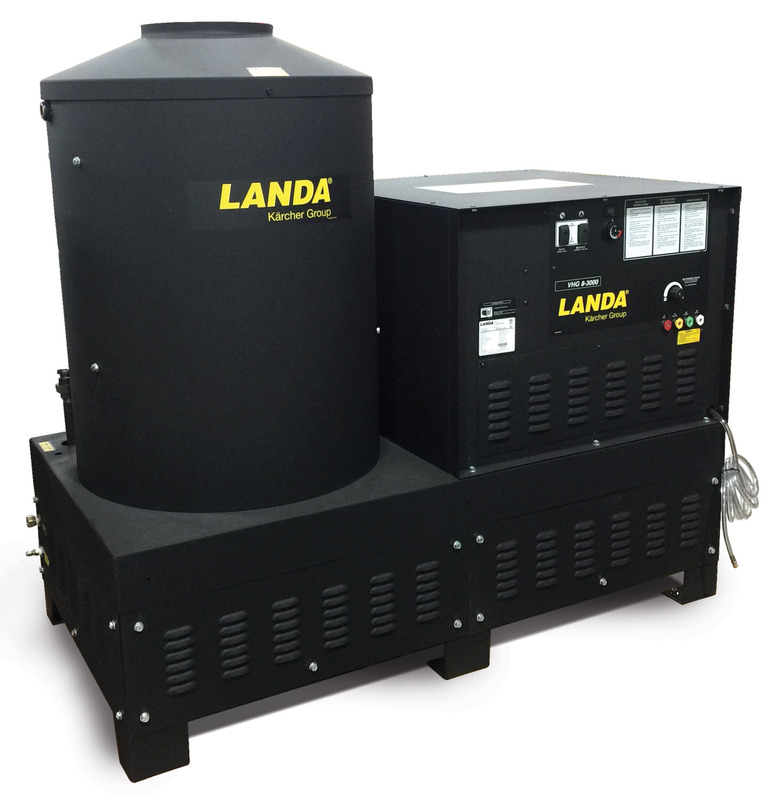 For your toughest hot water cleaning challenges, Landa Karcher Group’s diesel-powered industrial power washers deliver. 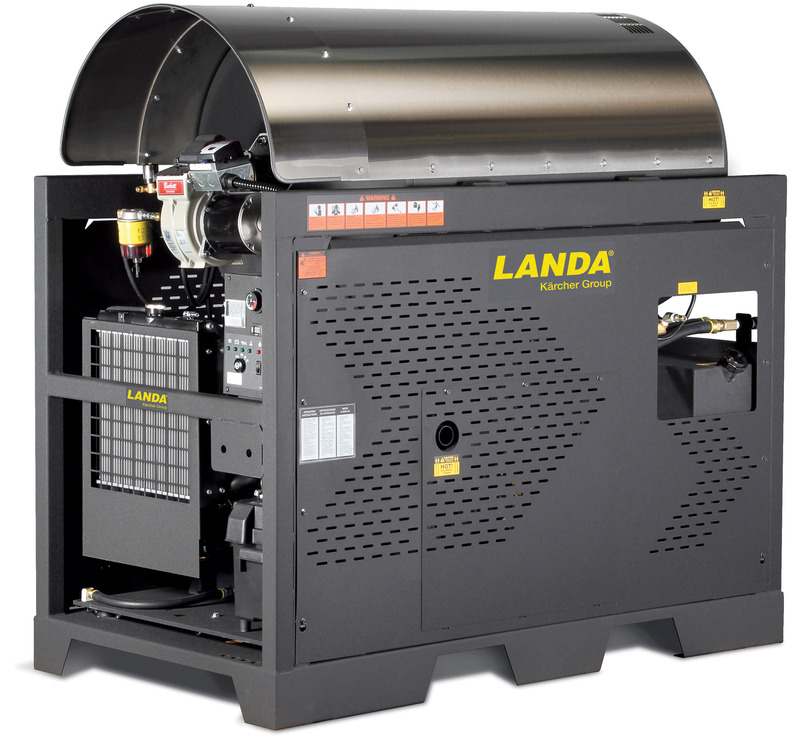 If an electric-powered/hot water pressure washer is what you’re looking for, Landa Karcher Group has a full range of models heated with diesel/oil, natural or LP gas, or electricity. 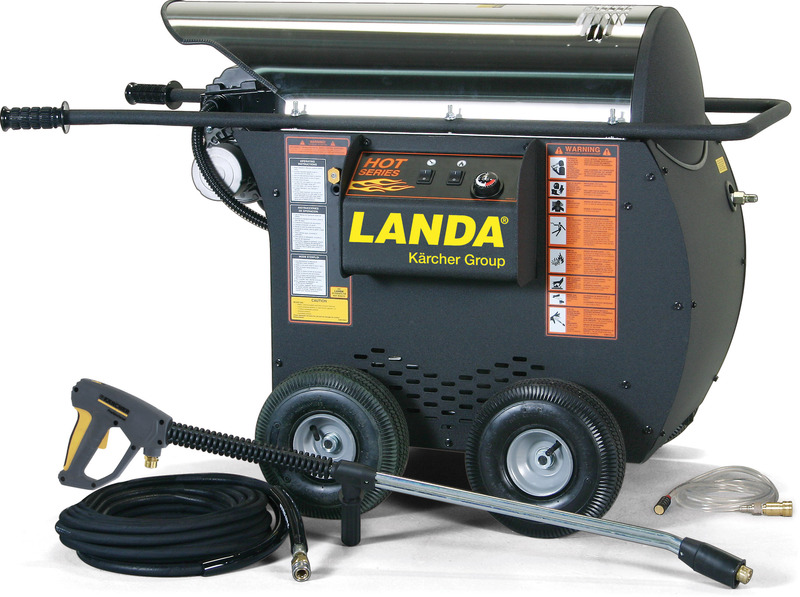 Compact and rugged, our electric hot water pressure washers are available in stationary, skid-mounted and portable units. 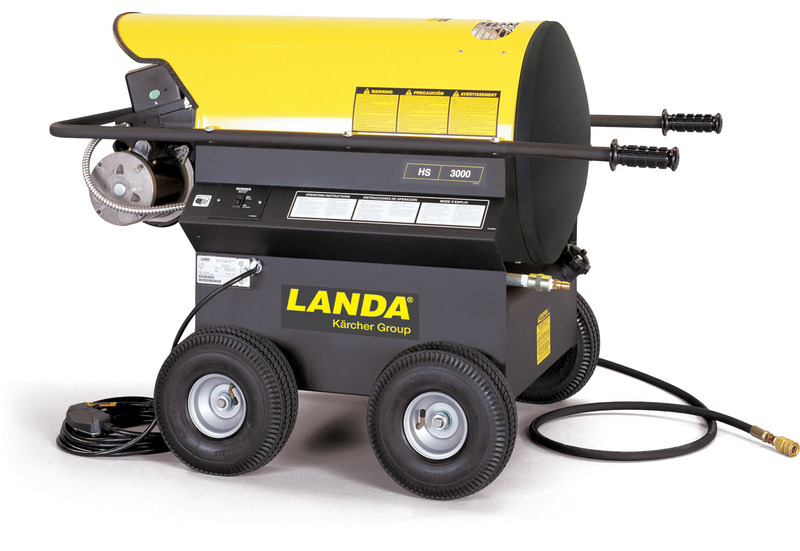 All are packed with features you’d find on any top of the line model, proving that when an electric hot water pressure washer is what you need, you can turn to Landa Karcher Group. Options for electric hot water pressure washers include models with electricity, natural gas, LP gas, or diesel/oil as a power source. 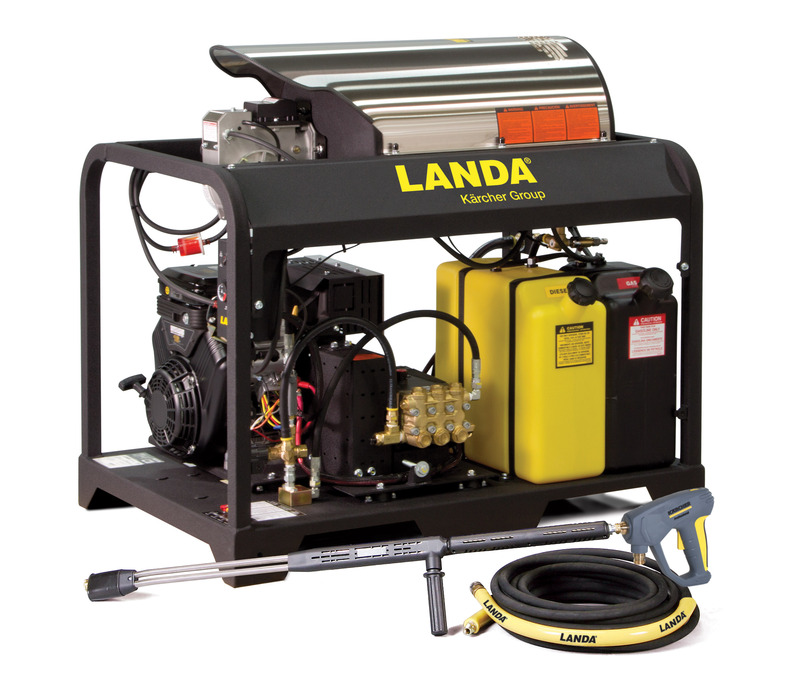 Built to last with the best in pumping technology, electric hot water pressure washers from Landa are available in a range of mobility options, from skid-mounted to portable. 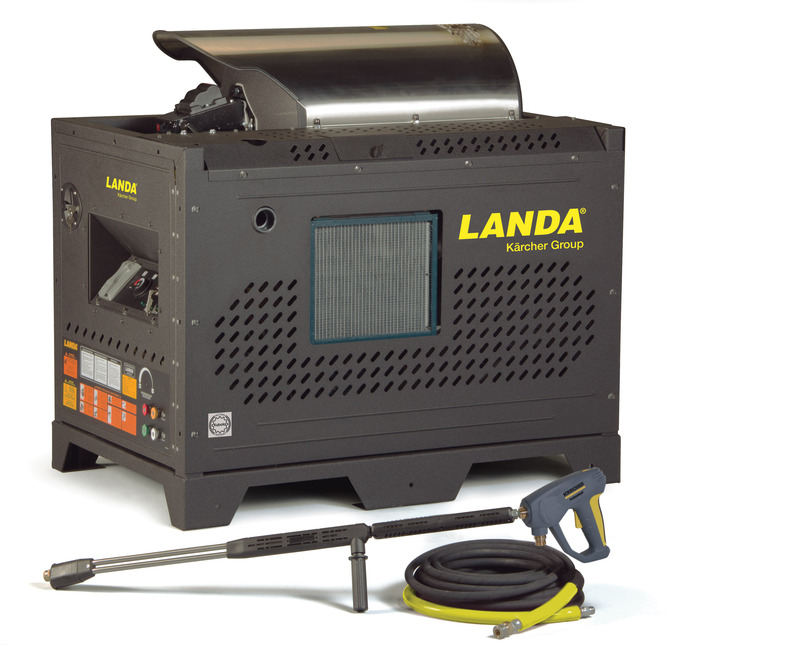 Every Landa industrial power washer includes a full suite of features to improve your cleaning efficiency, so trust in us to bring you the best ROI in the industry.